- "This app is THE best app out there to check real-time quotes." - "Great app recommended for active traders who require real-time stock quotes." - "The fact that I don't have to logon to brokerage account to see real time quotes is fantastic!!" 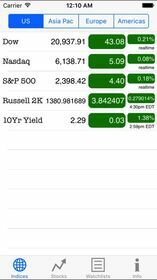 If you are looking for a free stock app to quickly check real-time quotes and charts at any time, no look farther than this Real-Time Stocks app. Join tens of thousands of active users who use our app on every trading day. This is a free app. All we ask is your positive and honest reviews if you like the app. Positive reviews are the most important driver for our app development. Real-Time Stocks app collects real-time stock quotes/charts from various sources. You can monitor multiple real-time quotes at once, not just one at a time like other financial apps. You can easily build multiple watch lists and quickly switch between them. Thoughtful features like multi-touch chart browsing are built to let you get quotes and charts with minimal taps and swipes. 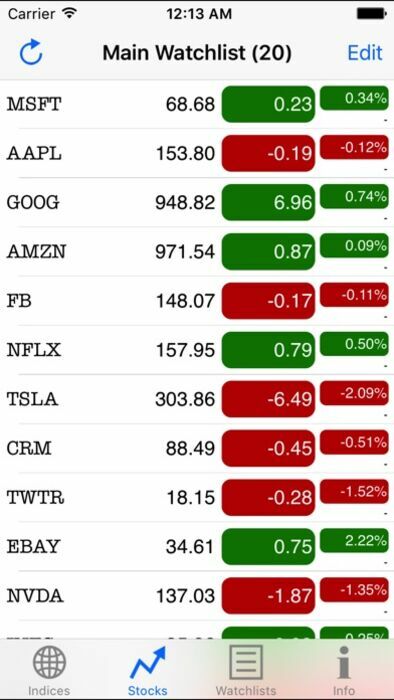 Best of all, Real-Time Stocks app is FREE, no matter who your broker is. After all, you are not subscribing to a financial data service. This app is not a trading platform. You don't need an account with any broker to have access to the app. No login required. No security issues. * Display real-time quotes/charts for most US stocks. Don't settle for 20-minute delays. * Auto-refresh stock quotes every 30 seconds, or press refresh button any time. * Create your own watch lists to monitor multiple stocks in real time. * Tap any index/stock symbol for its intraday chart, real-time whenever available. * Support Multi-touch for fast chart browsing. Horizontal swipes to iterate stocks in the same watchlist; vertical swipes to change time frames for historical charts. 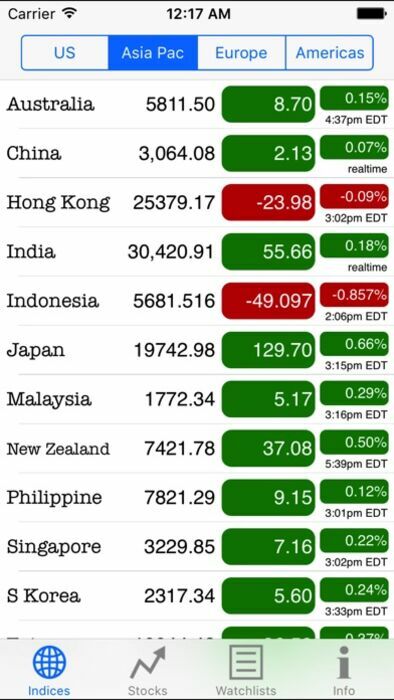 * Support indices of global markets. * Support many non-US stock exchanges with delayed quotes. * Display real-time charts, whenever available, for non-US exchanges including TSX, ASX, FTSE, Xetra and many others. * Avoid any account login. * Use Yahoo Finance to find symbols of your stocks. The app will take care of all the conversions. Examples for some non-US stock symbols are: rim.to, vod.l, bmw.de, san.pa, rio.ax, 0001.hk, c31.si. 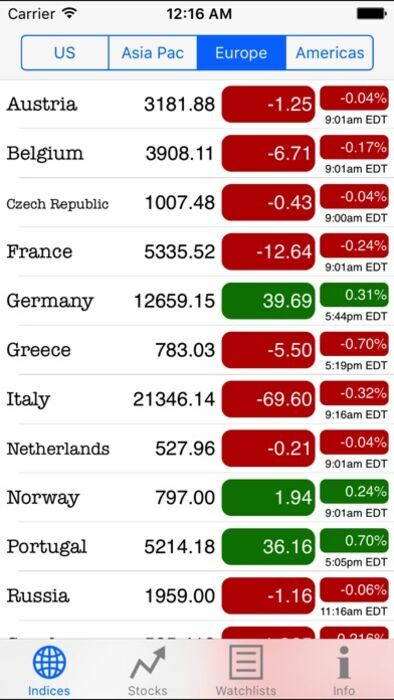 * This app does not have real-time quoting support for non-US stock exchanges. 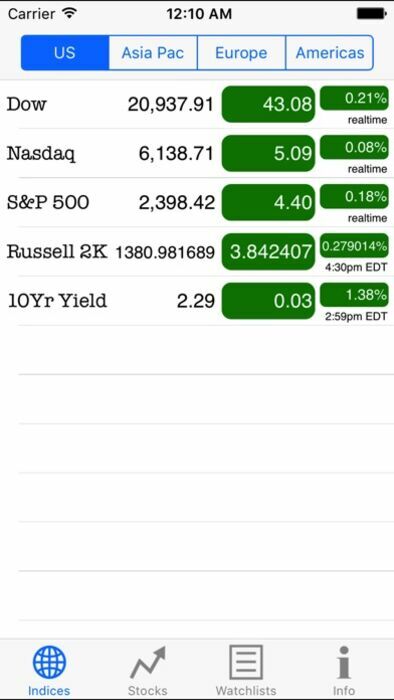 However, the app displays real-time intraday stock charts for many non-US stock exchanges whenever available. More coverage will come in future updates. This app is for your personal informational purposes only. Consult your broker to verify stock prices before any trade. Trade with care and your own responsibility.